Contributed by Vladimir Moss with original title “Towards The Major Synod of the True Orthodox Church”. The original, as well as other articles by the author, is available by clicking here. This month (June, 2014) has seen the appearance of a revised version of the document “The True Orthodox Church and the Heresy of Ecumenism” issued by the True Orthodox Churches of Greece and Romania and Metropolitan Agathangel’s “Russian Church Abroad”. Although the present writer can detect no significant changes from its predecessor issued in March (apart from the unexplained fact that the True Orthodox Church of Bulgaria appears to have withdrawn its approval), it may be worth looking again at the two points that have caused controversy. The first is the lack of an explicit statement that the Churches of World Orthodoxy do not have the Grace of sacraments; and the second is the continued ambiguity surrounding the role to be played by the future “Major Synod” of the True Orthodox Church and its relationship to previous Local Synods of the True Orthodox Church. The dogmatic document in question (we shall call it from now on “the document”) is, on the face of it, very strong against the heresies of ecumenism and sergianism; and if its purpose were not simply to enunciate certain ecclesiological truths, but also to reunite the so-called “Cyprianites” or “Synod in Resistance” with the True Orthodox Church, then it would probably elicit little or no criticism. However, since Cyprianism has arisen, and needs to be repented of by its leading proponents, it needs to be specifically refuted and rejected in each of its main points – and this the document does not do. One of these points is that heretics, before their official condemnation at a Pan-Orthodox or Ecumenical “Unifying” Council, are still inside the True Church and have the Grace of sacraments, and that the present-day World Orthodox in particular still have the Grace of sacraments. Now section VI, points 1-5 of the document effectively refutes this error in its general form. Thus footnote 36 to point VI.4 reads: “the Orthodox Church has never recognized the ontologically non-existent mysteries of heretics”. This is sufficient to absolve those who have signed this document (although we have never seen any signatures!) of holding the heresy of the Grace-filled nature of the sacraments of heretics in its general form. But what about the specific case of the heretics of contemporary World Orthodoxy? Here the document is more ambiguous, stating in point VI.6: “More specifically, with regard to the Mysteries celebrated in the so-called official Orthodox Churches, the True Orthodox Church, within the boundaries of Her pastoral solicitude, does not provide assurance concerning their validity or concerning their salvific efficacy”. As several people have pointed out, this statement stops short of saying that the World Orthodox do not have the Grace of sacraments. Thus Fr. Roman Yuzhakov writes: “The sharp anti-ecumenist rhetoric of the document should not mislead us: the grace-filled nature of the sacraments of ‘World Orthodoxy’ is, as before, not being denied; it is just that it ‘is not recognized with certainty… especially in relation to those people who are consciously in communion with syncretistic ecumenism and sergianism’. 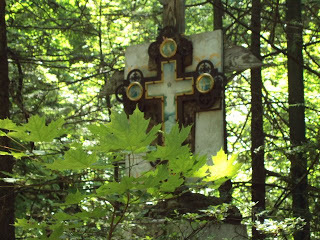 It is evident that this formulation is that invisible difference – invisible, that is, to the naked eye – between ‘Cyprianism’ and ‘the Bulgarian Old Calendarist confession’ which must now become the official doctrine of this union…” Thus the former Cyprianites (if they are now only “former”) have conceded the principle that heretics have no Grace of sacraments, but appear to be continuing to fudge the issue with regard to the specific case of contemporary World Orthodoxy. The Question of the Authority of Local Councils. This introduces the theme of the future “Major Synod” of the True Orthodox Church, which is the subject of the whole of the last, seventh section of the document. Evidently this idea of a future “Major Synod” is very important to the composers of this document. And this immediately puts us on our guard; for it is precisely the idea that Local, “Minor” Synods cannot expel heretics from the Church, but only Ecumenical, Pan-Orthodox or “Major” Synods (and, moreover, “unifying” ones that unite the Orthodox with the heretics), that constitutes the critical, central idea of Cyprianism, and the justification of its refusal to condemn the World Orthodox as outside the Church and deprived of Grace. The seventh section of the document declares: “1. In the preceding twentieth century, True Orthodox Hierarchs, whenever this could be brought to fruition, issued Synodal condemnations, at a local level, both of ecumenism and of Sergianism, and also of Freemasonry. “2. By way of example, we cite the condemnations of ecumenism by the Synod of the Russian Orthodox Church Abroad in 1983, and also by the Church of the True Orthodox Christians of Greece in 1998; as well, the condemnation of Sergianism by the Catacomb Church in Russia, and also by the Russian Orthodox Church Abroad at different times; and finally, the condemnation of Freemasonry by the Church of the True Orthodox Christians of Greece in 1988. “3. These Synodal censures, especially of the heresy of ecumenism, are assuredly important steps in the right direction towards the convocation of a General Synod of True Orthodox, which, with expanded authority, will arrive at decisions concerning the calendar innovation and syncretistic ecumenism, which contradicts the Gospel. Now while there is nothing wrong with the idea of a “Major General Synod” on these lines – on the contrary: it is eminently desirable, – nevertheless the document’s condescending characterization of the earlier local Councils as “important steps in the right direction” is unacceptable. These Local Councils were much more than just “steps in the right direction”. They themselves expelled the ecumenist heretics from the external organization of the One, Holy, Catholic and Apostolic Church through the power of anathema granted to the bishops constituting those Councils as a result of their episcopal consecration. We say “external organization” of the Church, because a heretic is cut off from the inner, mystical organism of the Church already before any Council is convened, immediately he utters his heresy “publicly and with uncovered head” (15th canon of the First-Second Council). But the fact that he has already been cut off from the Church inwardly, by the hand of the Lord, the Heavenly Bishop, needs to be proclaimed publicly by the earthly hierarchy of the Church, so that the people can break communion with him and take all necessary steps to protect themselves from his destructive influence. That is one of the major purposes of episcopal Councils, both big and small, Minor and Major, Local and Pan-Orthodox. What the document appears to be insinuating is that these earlier Local Councils (such as the ROCOR anathema against ecumenism in 1983), which expelled heretics from the external organization of the Church, were in fact only “steps in the right direction” towards their expulsion, which will be accomplished only by the future Major Synod. Perhaps the composers of the document will protest that this is not so. But if it is not so, why this extreme emphasis on the future Major Synod and the condescending degrading of past Local Councils as mere “steps in the right direction”? 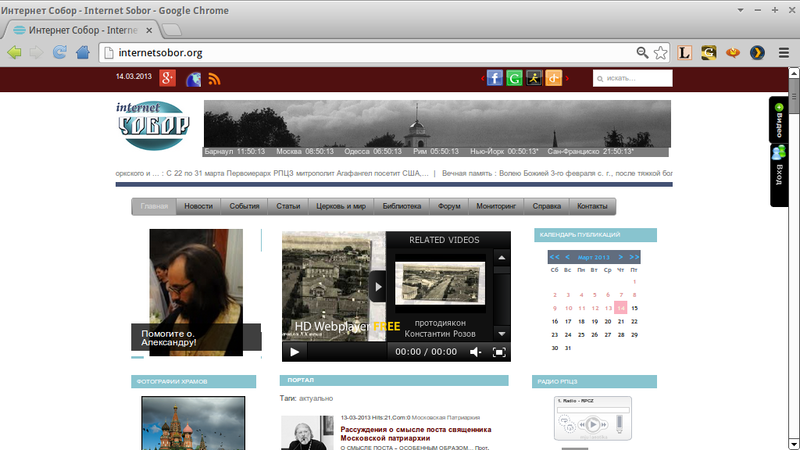 Let us take the vitally important ROCOR anathema against ecumenism of 1983. This was not a “step in the right direction” to the eventual, later expulsion of heretics from the Church. It proclaimed with quite sufficient authority (we must remember that it was led by Holy Hieroconfessor Philaret, Metropolitan of New York, whose relics are incorrupt) that the ecumenists were already outside the Church. A future “Major Synod” that affirmed that the ecumenists were outside the Church would not be adding anything essential to the earlier decision. It would be confirming it, “putting its seal” on the earlier decision, as the document puts it in VI.6, just as the First Ecumenical Council confirmed the decision of the Local Church of Alexandria expelling Arius from the Church. At most, we could say that the future Major Synod would be adding an extra authority to the 1983 decision (and to earlier anti-ecumenist decisions of Local Councils) insofar as it would be adding the voices of more bishops. As such this future decision would be highly desirable; but it would not add anything in essence to the prior decision. It will be remembered that, in the years preceding ROCOR’s surrender to the Moscow Patriarchate in 2007, voices were often heard saying that no decision on the validity of the sacraments of the Moscow Patriarchate could be made until a “Major Synod” of all the bishops of the Russian Church in a liberated Russia were convened. This was not true; but it was a powerful tool in the hands of those who wanted to justify the Moscow Patriarchate and prepare the way for union with it. And the ecclesiology of the Cyprianites, with its well-developed theory of the effective impotence of smaller Councils, chimed in well with the idea that only a future Free Sobor of the whole of the Russian Church could finally decide the question of the status of the Moscow Patriarchate. A striking aspect of the March, 2014 union is the absence of any public repentance on the part of the erring Cyprianite bishops. 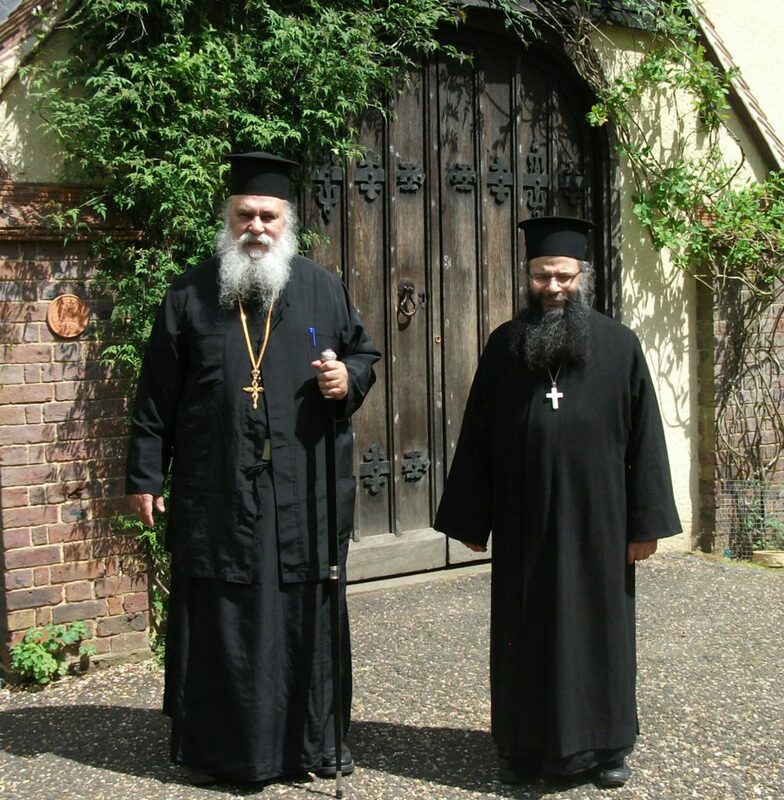 Moreover, two senior Cyprianite bishops – Chrysostomos of Etna and Cyprian of Orope – have issued statements that appear to say that they have nothing to repent of… And yet a group of bishops that has very publicly and ostentatiously broken communion with the True Orthodox Church of Greece, accusing it of having a false ecclesiology over a period of thirty years, and created false hierarchies of bishops both for Greece and for Russia, should surely need to repent publicly. “1. Do you repent of your participation in the schism created by Metropolitan Cyprian in 1984? “2. Is it true, as has been reported, that a prayer of absolution for the sin of schism was read over you and your fellow hierarchs? “3. Do you now renounce the view you once held that heretics remain sick members of the True Church until they have been cast out of the external organization of the Church by an Ecumenical or Pan-Orthodox Unifying Council in which the heretics themselves take part? “4. Do you now accept that Local Councils of the One, Holy, Catholic and Apostolic Church can expel heretics from the external organization of the Church? In particular, do you accept the validity of the anathema against ecumenism of the Russian Church Abroad under St. Philaret of New York in 1983? “5. Do you now accept that the Greek and Romanian and Bulgarian new calendarists are now, before the convening of any future Large Council, outside the True Church and deprived of the Grace of sacraments? “6. Do you now accept that the other Local Churches of World Orthodoxy that take part in the ecumenist heresy are also now, before the convening of any future Large Council, outside the Church and deprived of the Grace of sacraments? “To 1 and 2, being of a personal nature, I will reply further down. 3-6 are covered by the latest ecclesiological statement, about which I do not feel that it for me to add or subtract anything; it replaces any statements made on the subject by our former Synod, and more particularly the “Ecclesiological position paper”, which was anyway presented as a thesis for discussion, not a dogmatic statement. I would only add that there are four small adjustments which were requested by our Romanian brothers at our meeting last week, and will be included as notes to the text; in a few days these will be ready for publication. “As to 1, please forgive me, but I do not feel that it should be required of me to offer my repentance to Dr. Moss, but rather to my confessor! “As to 2, though I do not know of any specific “prayer of absolution for the sin of schism”, it is true that following our reception at the joint Synod which finalized the union, a prayer of absolution was read by the Archbishop over those bishops of our former synod there present, that is Metropolitan Cyprian, Bishop Klimis and myself. I do not think there is anything secret about that. However, as we have seen “the latest ecclesiological statement” does not answer any questions about the Cyprianite ecclesiology. Neither is any question raised specifically about any part of the Cyprianite ecclesiology, nor is Cyprian himself even mentioned! To one who did not know the recent history of the Church, the document gives no clue as to its purpose; he would not realize that any ecclesiological position, apart from the broader ecumenism of the World Orthodox, is being refuted, nor would he know in what that ecclesiological position consisted. True, it follows from the stricter parts of the document that the Cyprianite ecclesiology must be false. But that conclusion is not drawn explicitly; and, as Fr. 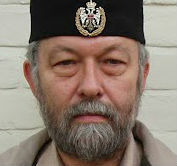 Roman Yuzhakov has rightly pointed out, a loophole is provided enabling an unrepentant Cyprianite to sign the statement and yet justify himself in secretly – or, in the case of Metropolitan Chrysostomos of Etna, not so secretly – retaining his old opinions (or “theologoumena”, as the Cyprianites like to call them). “No compromise is permitted in matters of the faith”, said St. Mark of Ephesus. “For this reason one must flee those who preach compromises since they touch nothing which is certain, definite and fixed, but like the hypocrites, they vacillate between both beliefs and, giving way to one, they cling to another.” Clarity is more essential in dogmatic matters than in any other sphere of life, which is why the devil tries to oppose it by all means. The history of the Ecumenical Councils shows that literally hundreds of years of argument were required before clarity was achieved in Christology; and already many decades have passed in arguments among the True Orthodox about Ecclesiology. It was to be hoped that the document would provide the required clarity to bring to an end this long period of controversy; but it has not done that. June 29 / July 12, 2014. Holy Apostles Peter and Paul. St. Basil the Great, Letter 156.